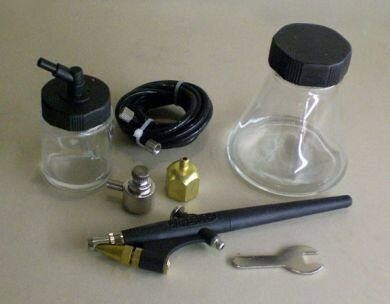 Air Brush Set. An ideal starter set for learning the basics of air brushing or for painting small models. Complete with adaptors for either a small compressor (1/4" bsp) or a standard propellant can, hose and instructions. Excellent value for money!